Award winning luxury cruise and tour operator, APT, has announced it will launch a new ship and new river cruise program on Myanmar’s Ayeyarwaddy (Irrawaddy) River. APT will offer guests the choice of two exclusive APT-only sailings in February and April 2015 aboard its new AmaPura river ship as well as joint sailings, along with partner AmaWaterways, from November 2014. Full details of itineraries and pricing will be made available in January 2014 but travel trade partners and guests are being encouraged to pre-register their interest early as APT anticipates high demand. · Bagan – A cultural treasure trove of more than 2,200 temples, stupas and pagodas, on par with Cambodia’s massive Angkor Wat temple complex. · Mandalay – The country’s last royal capital and second largest city, the “Golden City” of Mandalay is regarded as Myanmar’s cultural heart, renowned for its master craftsmen and its patronage of the arts. · Mount Popa – The stunning shrine perched at the top of Mt. Popa is considered the legendary home of spirit gods worshipped by Burmese Buddhists. · Ancient Royal Cities – Inwa (Ava) was the capital of the Burma for more than 400 years, Amarapura has the world’s longest teak bridge, Sagaing is famous for its tranquil atmosphere, and Mingun has many historic sites to explore. · Yangon (Rangoon) – The “Garden City of the East,” retains much of its colonial charm with cobblestoned streets, tree-lined avenues and Victorian architecture. 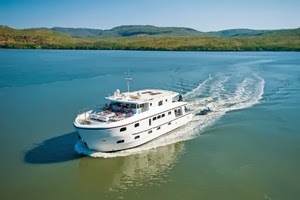 Guests will cruise the Ayeyarwaddy aboard the newly built all-suite AmaPura (2014), a 56-passenger vessel furnished with a combination of modern and traditional motifs. All 28 spacious suites feature a balcony (a French Balcony, a step-out Full Balcony or Twin Balconies), a well-appointed en suite bathroom and many other deluxe amenities. The ship’s elegant public areas include a restaurant, main lounge and bar, gift shop, spa, refreshing pool and a Sun Deck perfect for lounging, enjoying a cool drink, or simply gazing out at the passing scenery. For further information regarding APT’s Myanmar river cruises, or to register interest prior to the brochure release, please call 1300 278 278 or see your local business development manager. "Cruising" -- the word conjures up images of overflowing buffets, arm-wrestling at the soft serve machine and death by deck quoits. But there's another side to this kind of travel that spits in the eye of the stereotypical deckchair-hogging cocktail sipper -- and that's adventure and expedition cruising. 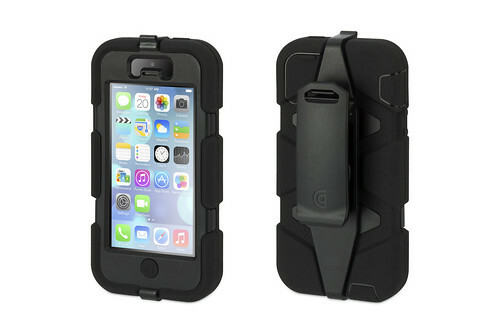 It's almost deceptive to call it "cruising." 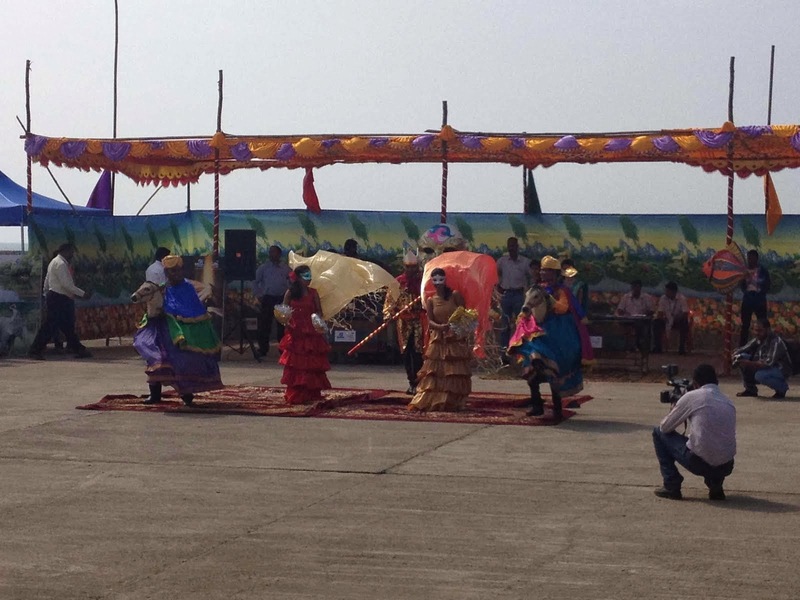 COLOURFUL welcome to SeaDream II in Goa, India. SEADREAM Yacht Club says its SeaDream II has received "an absolutely stunning welcome" from quarters as diverse as national governments, local tourism authorities, travel operators and the media since arriving in October for it's first-ever season into Asia, northern Australia and Papua New Guinea. The luxury mega motor-cruiser has already sailed from Mumbai to Singapore by way of ports in India, Sri Lanka, Thailand and Malaysia, and will undertake 18-itineraries in the region before season-end in April. 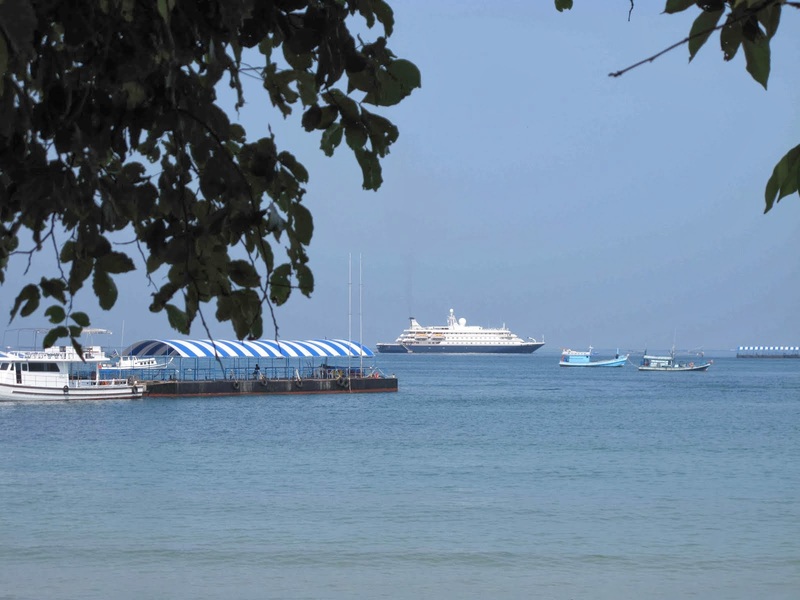 "We've been absolutely stunned by the extraordinary welcomes accorded us at virtually every port of call, large or small," said SeaDream Yacht Club's President India, Sudesh Kishore who was aboard from Mumbai to Singapore. SEADREAM II arrives off Phuket in Thailand. "We've had tourism and other ministers welcome us as a new chapter in their tourism ventures, as well as local government officials, members of the travel industry and local business organisations, sometimes with bands and cultural performances on the pier as we've docked," Mr Kishore said. "At some places our onboard guests were even invited to join-in the dancing and cultural performances, which they absolutely loved, and our Captain and other officers were interviewed by enthusiastic local TV stations and newspapers as we exchanged city and national plaques and framed SeaDream photographs with local authorities. "We also had up to 40 travel industry and media aboard at larger ports to inspect the yacht – the SeaDream concept is simply something they've not seen before, and they were genuinely interested in our philosophy of 'Yachting, Not Cruising,' with just-56 staterooms for a maximum 112 guests served by 95 crew, open bars and wines with meals, onboard gratuities included, and free use for guests of a wide range of land- and water-sports and fitness facilities." As an example of sailings still available, 7-nights from Singapore to Bali departing 11 January starts from US$3,954pp double occupancy. At last night’s brochure launch, past passengers confronted the new owners about changes to the old Orion. 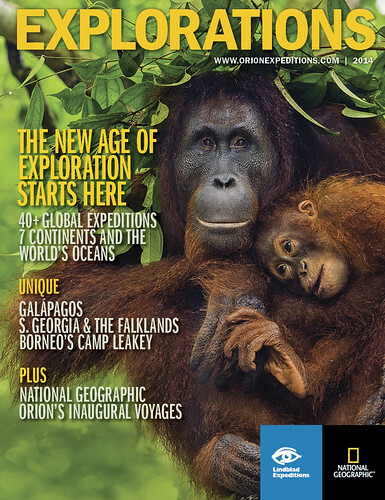 It wasn’t the caged animals at Sydney’s Taronga Zoo that caused a commotion at Lindblad Expeditions’ launch of its 2014 Explorations catalogue – it was loyal fans of the Australian ways of the phased-out Orion Expeditions Cruises. After an inspiring presentation about the 10 ships’ exotic itineraries, diving program and undersea exploration tools, company founder Sven Lindblad, who flew in from New York, and his Sydney-based son Jeremy were forced to defend the changes to the soon-to-renamed National Geographic Orion. Some past passengers at the function took the opportunity to ask about the onboard currency, retention of Australian expedition leaders and other alterations. 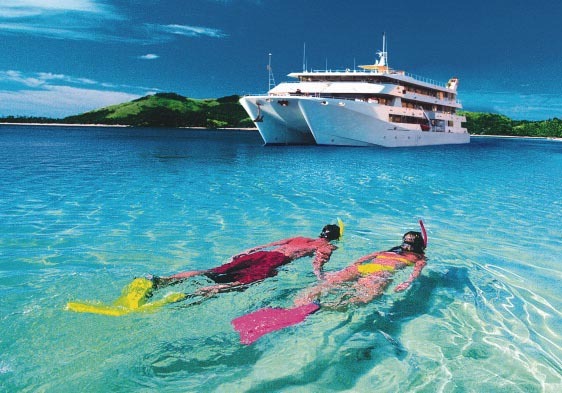 Un-Cruise Adventures is offering savings of $100 per couple who book the new weeklong “Explore! Olympic Wilderness & San Juan Islands” sailings by Dec. 20. 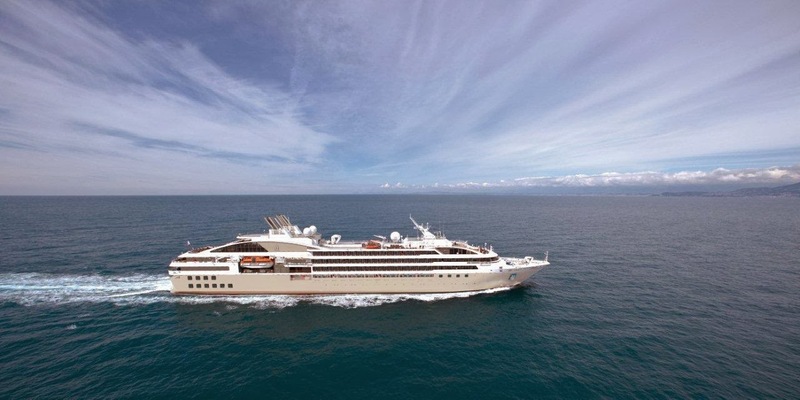 The 60-passenger Wilderness Adventurer begins the new itinerary from Seattle in the spring. It will offer the itinerary in April and May and then again September through November. The voyages will explore Washington’s Puget Sound and Salish Sea from South Hood Canal to Olympic Peninsula and the San Juan Islands. Cruise rates begin at $1,595 per person, double occupancy (before savings), and include all meals, transfers, adventure activities, hot tub, sauna and yoga on deck. Highlights of the itinerary include hiking in the Olympic Mountains, Mount Constitution and Washington State Parks. Guests can use kayaks, skiffs and paddleboards to explore glacial fjords and the San Juan archipelago. In Quilcene Bay, a local family hosts an oyster and clam tasting. Hurtigruten is offering a 12-day cruise and land tour to Norway’s Lapland March 25-April 5. Fares range from $2,999 to $9,117 per person, double. The trip includes a six-day voyage along Norway’s fjord-filled coast and a land tour of the country’s northernmost province, Finnmark. Guests can watch for the Northern Lights and learn about the traditions of the Sámi. The Midnatsol will sail north from the Hanseatic city of Bergen to Ålesund, Trondheim, the Lofoten Islands and Tromsø. Then the ship will veer off its usual course and head toward Alta, circumnavigating the North Cape Plateau, the northernmost point in Europe, weather permitting. Passengers disembark in Alta for a two-day land tour of Finnmark, which includes all transportation, certified local guides, two overnights with meals, and all scheduled excursions. At the end of the land tour, guests will be transferred back to Alta, from where Midnatsol will sail south back to Bergen three days later. After over almost 25 years in the expedition travel industry, Australian polar veteran Stewart Campbell has now launched a new online travel agency, Expeditions Online, focussing exclusively on the small ship expedition cruise industry. It’s stated aim is to offer the widest choice of polar voyages, always-competitive prices and to combine polar expertise, personal service and the convenience of online bookings and payments. All key small ship operators are represented on the site, with vessels such as M/V Plancius, Polar Pioneer, Akademik Ioffe, M/V Ushuaia, Sea Explorer, M/S Expedition, Ocean Nova and many more. Stewart Campbell. Travelling to Antarctica since 1990. 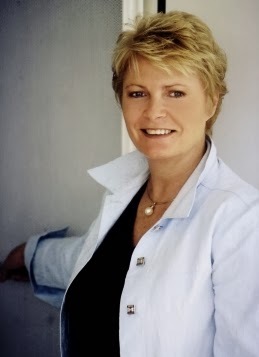 Stewart was previously manager for the Australian expedition operator Adventure Associates and Swedish Arctic cruise operator, Polar Quest - as well as a former cruise guide and Antarctic expedition leader. He has made over 30 Antarctica expeditions, including numerous trips into the Ross Sea, East Antarctica, Peninsula and Weddell Sea and almost every single sub-Antarctic Island. Among his most memorable landings include seldom-seen Inexpressible Island, where members of Scott’s Northern party overwintered; remote Zavodovskiy Island, active volcano and site of the world’s largest colony of penguins; and landing the entire complement of passengers by helicopter on top of a large tabular iceberg. With 30 years local knowledge of the region, Lindblad Expeditions explores remote parts of Alaska rarely accessible or experienced by mainstream tourism. A panorama of massive landscapes and towering glaciers, revealed through Lindblad National Geographic expeditions that combine the culture and raw wildlife of Alaska’s extraordinary surroundings. Long hours of daylight during the northern hemisphere summer provide plenty of time to explore waterways and ashore, accompanied by the six person specialist expedition team, the largest in Alaska. Encounter whales, bears and eagles, kayak in peaceful coves, hike through old-growth forest and get a sense of life in Alaska's quaint fishing villages. These expeditions epitomise the Lindblad Expeditions philosophy of providing truly meaningful travel experiences. Flexibility is the key, and with a captain able to alter his route at any time to follow a pod of whales, there is no better way to experience the grandeur of Alaska. Lindblad-National Geographic certified photo instructors aboard every departure will be on-hand to help hone guest’s photographic skills, ensuring they return home with memory cards full of outstanding images. An undersea specialist will dive where few have ever gone, to film the seldom-seen creatures of the Alaskan deep. Voyages in May and September will include a special exploration of Haida Gwaii, British Columbia (formerly the Queen Charlotte Islands). Among the many voyage highlights is a rare visit to the islands’ sacred sites, including SGang Gwaii the UNESCO World Heritage Site. 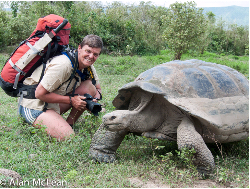 Book by 31 December 2013 for complimentary flights on select May and June 2014 expeditions. Rates begin at $6,290 per person based on double occupancy in a category 1 cabin. Includes Alaska, the Inside Passage and islands of British Columbia, plus a special visit to the islands of Haida Gwaii. Rates begin at $9,990 per person based on double occupancy in a category 1 cabin. Also available, a land based expedition extension in Denali National Park to complete your Alaska experience. The North Face Lodge is base camp for hiking, canoeing and biking in the park's pristine, remote wilderness. Rates begin at $5,590 per person. In Australia or New Zealand order a Lindblad-National Geographic Alaska 2014 brochure now by contacting Orion Expeditions either by email – info@orionexpeditions.com telephone 1300 361 012 (Australia), 0800 44 44 62 (New Zealand) or contact your travel agent. 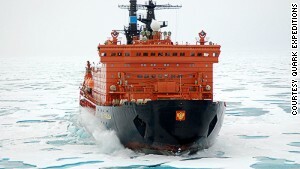 AECO – Association of Arctic Expedition Cruise Operators, has decided to include Arctic Canada and "Russian Arctic" in the associations activities. 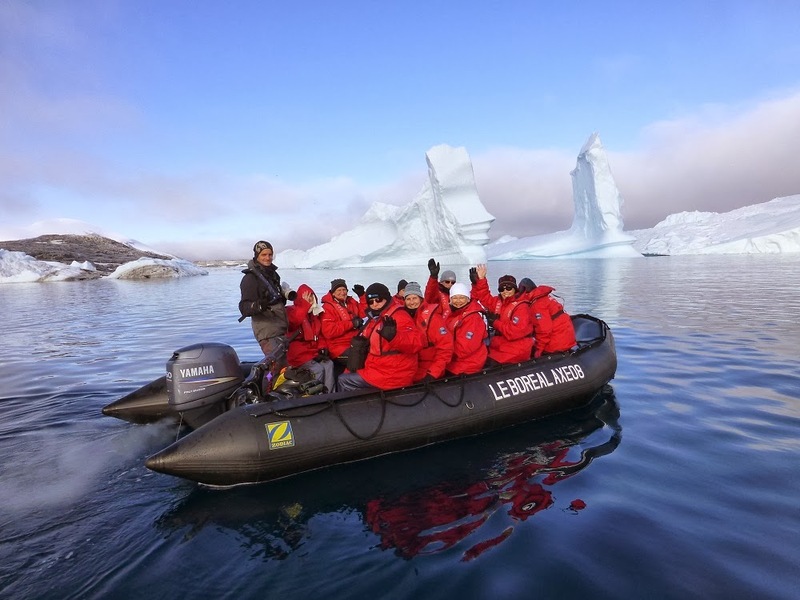 AECO, which is an association for cruise operators in the Arctic, was established ten years ago by expedition cruise operators with voyages in Svalbard. In 2006 AECO expanded to Jan Mayen and Greenland. Recently the association decided on further expansion, and will now include Arctic Canada and the national park "Russian Arctic" (Franz Josef Land and northern parts of Novaya Zemlya). This expansion involves that AECO will take initiatives to ensure considerate, environmentally-friendly and safe tourism in these areas, among other things by implementation of guidelines for cruise operators, expedition leader, guides and guests to the Arctic. AECO seeks cooperation with authorizes and other involved in expedition cruise tourism in the Arctic and has a positive dialogue with stakeholders both in Canada and Russia. "We look forward to continue the positive dialogue og further develop a cooperation in order to safeguard the various interests and aspects of cruise tourism, included environmental protection, safety, local community considerations and industry interests", says Frigg Jørgensen, executive director in AECO. The decision to expand was taken during AECO's Annual Meeting and Conference, which found place this October. The conference, which gathered almost 70 Norwegian, Danish, Greenlandic, Russian and Canadian representatives from governments, authorities, researchers and other stakeholders, also gathered a broad representation from the international Arctic expedition cruise industry. The conference's broad specter of issues included cruise related updates from the different Arctic geographical areas, status for IMO's (United Nation's International Maritime Organization) work on the Polar Code, introduction to new maritime regulations in Greenland, results from a large cruise tourism survey in Canada, plans for tourism development in "Russian Arctic" and the start of a process to consider if operators and/or guides in Svalbard should be subject to authorization-requirements. AECO is a membership association working for considerate, environmentally friendly and safe cruise tourism in the Arctic. The association's 31 international members are responsible for approximately 26 small and medium sized cruise vessels with operations in the Arctic. AECO's members agree to follow a comprehensive set of guidelines for Arctic operations, all available in http://www.aeco.no/guidelines. Among AECO's guidelines are: Guidelines for visitors to the Arctic, Site Specific guidelines, Wildlife guidelines and Operational Guidelines. Scenic Tours is excited to announce the launch of their exclusive private charter cruises to Antarctica in 2015. 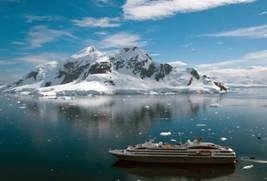 With Scenic Tours, guests will experience the ultimate in Antarctic cruising in all-inclusive luxury. Scenic Tours is Australia's first tour operator to privately charter a luxury mega-yacht to the extraordinary white wilderness of Antarctica. Introduced last year, they launched one private charter on Le Boréal for 2014, which sold out within three days to Scenic Tours past guests before it had the chance to be released to the general public. Due to popular demand, a second 'three-quarter charter' on board L'Astral was introduced, which also sold out immediately and a waiting list for the 2015 season has been rapidly filling since. Scenic Tours Product Manager for Antarctica, Louise Hill said, "Antarctica is proving to be one of the most sought after destinations. We had an absolutely extraordinary response to the introduction of our luxury private charter cruises last year so we will be chartering Le Boréal for two cruises in 2015. Many of these places have already been pre-registered by those who missed out on the 2014 season and with only 200 guests on each cruise we anticipate the 2015 season to sell out extremely fast." There is no place quite like the last frontier of the white continent. This vast icy peninsula offers unbeatable vistas of extraordinary scenery and the amazing pops of polar life are truly dwarfed by the grandeur of glaciers, icebergs and mountains. The Scenic Tours signature of all-inclusive luxury on board their chartered mega yacht, Le Boréal promises intimate service, 5-star amenities and cuisine, a state-of-the-art stabilising system, and guaranteed private balcony staterooms. Guests will take at least two daily excursions on inflatable Zodiacs with professional expedition guides and naturalists, once they reach the Antarctic Peninsula. Scenic Tours has designed a number of amazing South American itineraries to combine with the Antarctic private luxury cruises offering guests the option to extend their trip. For more information visit scenictours.com.au or call 1300 SCENIC (1300 723 642).